Below are some answers to the frequently asked questions that I get. What church accounting software or church management software do you recommend? I almost always recommend QuickBooks for Churches (yes they have a version for nonprofit organizations) for your church’s accounting software needs. Recent surveys have shown that about 70 percent of all nonprofits are using QuickBooks. Some believe the number is closer to 80 or 90 percent for churches. 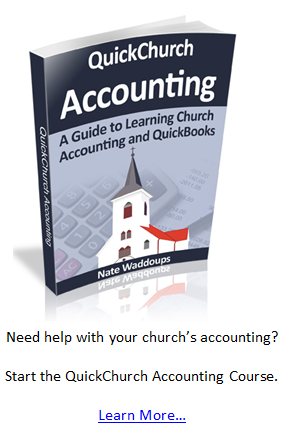 Now, QuickBooks provides excellent accounting software, but their software is not designed to manage your church. For church management software I usually recommend Servant Keeper, Church Windows, ACS, or Power Church. Servant Keeper is currently my number one choice because it integrates (or links) with QuickBooks. This means that you get world class accounting software and world class software to manage your church. What is the Difference Between Church Accounting Software and Church Management Software? Management software for churches is used to keep track of membership, meetings, contributions, and more. 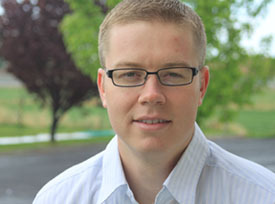 It is some really great software that makes a church leader’s life much more, well, manageable. Accounting software on the other hand is for managing the bills, preparing the necessary financial statements, and managing payroll. Nonprofits have special rules when it comes to accounting and you’ll need software and a good accountant to get you on the right track. What’s the Difference Between Contribution Software and Accounting Software? This can be confusing sometimes for those who are just entering into the church accounting world. There are a lot of software packages out there that offer handling of contributions. While this is an important part of church management, it does not fulfill all your accounting responsibilities. That is why most churches (apart from a church management software also use a popular accounting software package like QuickBooks). Managing contributions is part of the accounting process, but it is not all of the accounting process. Apart from managing contributions churches have other accounting requirements like payroll and creating financial statements that are in accordance with SFAS 116 and 117 (rules created by the Financial Accounting Standards Board –FASB). In other words, you’ll probably need both a church accounting software package and a church management software package to run your church effectively. There are some like Servant Keeper that hook up with QuickBooks so they work together as one package. Why doesn’t the QuickBooks NonProfit Edition make it Easy to Prepare Donor Statements? In the past versions (I’m still not sure about the 2011 version) QuickBooks has not made it easy to quickly generate, print out, and mail donor statements. I’m not sure why, but here are some ways to get around it: (1) You can buy their new software called Intuit Statement Writer. (2) You can use any of the church management software packages listed above to do this for you. I personally recommend you get one of the management software programs anyway (to make managing your church easier). All of them will make donor or contribution statements in a jiff. Please add any more questions you might have about church software below. From time to time I’ll try to update this information with your questions.